Assuredly the most important man in the Indian Cricket Team, the one who consistently performs and guide the brigade to the major accomplishment of the match, for whom chasing huge targets is just a normal routine, the man who has achieved a numerous number of records! Yes, the above-specified qualities do reside in the cricketer who is currently the No. 1 batsmen in the world. There are stars, superstars, and then comes the legend in making, Virat Kohli. The dream cricketer has marked his name into the headlines and has earn respect in the gentleman’s game by performing in the all the formats of the game. Tougher the task is, he knows his job well. Hence, in just 174 ODIs, he already holds the record for the most centuries (14) in successful chases. Aside from his excellence and hard work, the Indian Test skipper has likewise been great at distinguishing imperfections in his technique and discovering answers for them all through his profession. Out of his many memorable innings, three stand out – 35 vs Sri Lanka in 2011 World Cup final, 116 vs Australia in 2012 (Test) and 133* vs Sri Lanka in 2012 (ODI) were the best among all. If one needs someone to follow as far as the Cricket is concerned, Virat Kohli is the man he should look forward to. 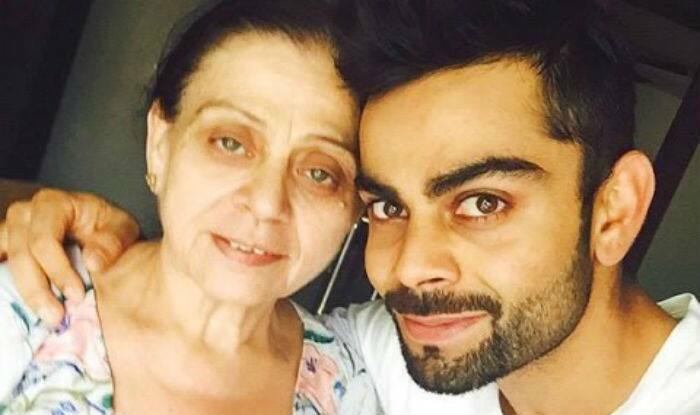 Our mother doesn’t go out of the house often but whenever Virat calls me when he’s on tour, he makes it a point to remind me to take care of her and asks if she’s with me or if she needs anything. From 8 to 28, Virat Kohli’s career has seen many ups and downs. From a young boy learning to pick up the bat to the captain of the Under-19 World Cup winning team, to winning the ICC World Cup and now the Test Captain of India. It has been a brilliant rise up the ranks for a boy who had no cricket in his blood; just only a family who believed and a coach who had a vision. Rajkumar Sharma opened his West Delhi Cricket Academy more than two decades back and on the first day of the registration had a father who brought his two sons along. Having groomed India’s Test skipper in his formative years and remained his close adviser over much more, Rajkumar is an indispensable part of Virat Kohli’s support operation. With more than 31 million likes on Facebook, 12.6 million followers on Twitter and 8 million on Instagram, Virat Kohli is not just one of the best cricketers in the world, he is also one of the most followed ones. Girls faint over him and boys want to be like him and we all are well aware of the same(just a confirmation). Aside from his predictable execution on the field, Kohli has likewise earned a gigantic fan following after by his by his social media presence. Among all the as of now playing cricketers on the planet, he has the biggest Twitter fan following. A known fitness freak, Virat Kohli likewise cherishes sharing videos and photographs of himself working out. Not certain if it’s his pumped-up post-workout body he needs to show us, or whether he simply needs to rouse us to work somewhat harder. Numbers by themselves cannot paint an accurate picture of the transformation captaincy has brought to Virat Kohli’s game. Captaincy came to Virat Kohli as a dash from the blue; it was in December 2014 when MS Dhoni was out as he was suffering from a thumb injury and needed to miss the opening Test match in Adelaide, that Kohli was given the Captaincy. He started with a blast, scoring hundreds in both innings of his first Test match while leading the team from the front. Two Tests later, after MS Dhoni reported a surprise retirement after the third Test match, Virat again held the captaincy. But once more, he rose to the duty in style, and fulfilled something no other skipper had accomplished in Test history; he scored a third back to back century in his third innings as the Indian captain. 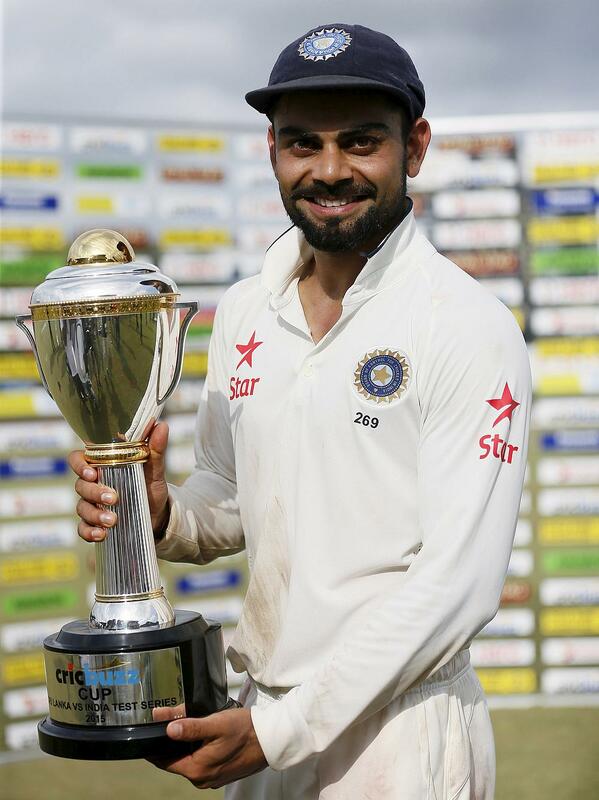 To put Virat’s achievements as captain so far in the context of Indian cricket, only one player – Sunil Gavaskar – had scored more runs than him in the first 17 Tests as Indian captain. And the list includes some renowned names like Sachin Tendulkar, Rahul Dravid, MS Dhoni, and Sourav Ganguly among others. It is still early days in his residency as captain, yet in the event that the pattern proceeds for the following couple of years, it is not beyond the realm of possibility that Virat Kohli will one day be India’s best Test commander. Happiest Birthday Virat! Do drop your lovely wishes in the comment section below!